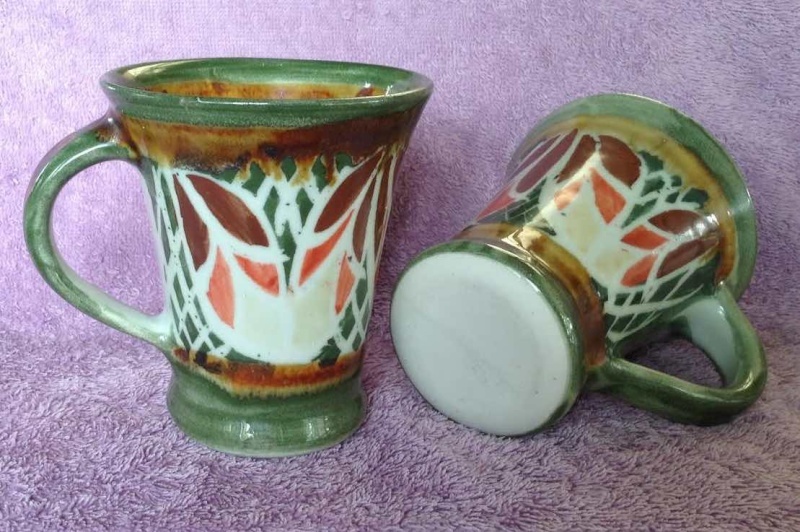 I bought these mugs on tm from a Masterton seller a few weeks ago for a buck the pair. I was a bit disappointed when they arrived as I was expecting handpotted and found them to be slipcast. I thought then that they must have been Asian. 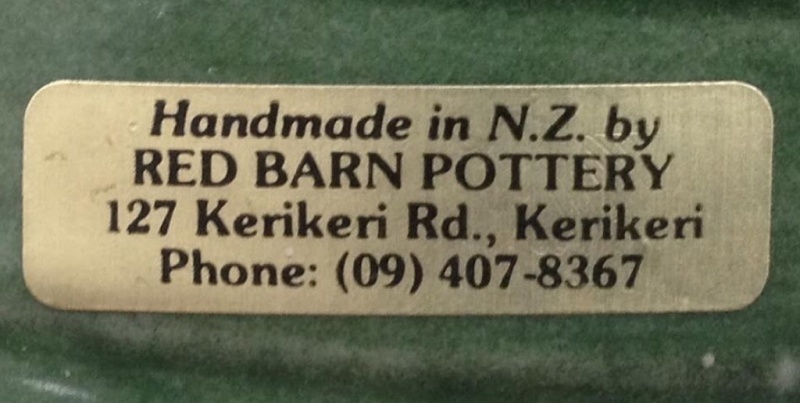 Now I see from the decoration that they appear to be Red Barn Pottery, that it is (was!) local, and that people like it. I'm a bit happier about them now. I have found no indication of maker on them beyond the pattern. The mould line is visible on the base, as seen in the photo, and on the body; inside there is hollowing at the handles. Despite these being slipcast I have posted in studio potters based on people's thoughts about their other work: commercial potteries just didn't seem right. This bowl is stunning and was wheel thrown. It has been fired on the high side as the white clay is more grey than white. It is solid and has been well made and beautifully decorated. i've been seeing a bit of this lately, some on tm, including some different colours. This tall slipcast vase has been in the Hospice shop for a week or two. I notice that both of your posts Jeremy have a lot of white in the decoration. Also there are brown and red in the decoration, whereas the bowl I have is more in line with what I am familiar with when it comes to Red Barn with more red pattern detail and no brown, but instead there is orange. It's as if two different people were decorating. Or .... the slipcast ware was another direction. We may need to know more of the history of the pottery to know how that came about Ev. I think they are supposed to be the same colours but on these slipcast pieces the brown comes out darker and the orange paler. I certainly prefer the colours on your piece as there is a more natural gradation. Obviously hand thrown, but can you see a mark Jeremy? The colours are way different and it may pay to keep track for reference. I just asked Karen if I could use the photo. I like the autumn colours variant. The piece at Hospice has a sticker on it and I will attempt to remember to photograph it tomorrow. As the Hospice one is cast it appears to have no other mark. 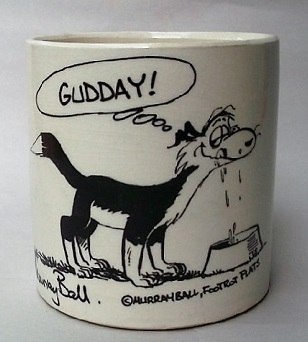 I haven't seen a thrown one yet so I can't say if they had an impressed potters mark. This thread has some history..& probably explains the different styles. Typical Red Barn decoration striking in blue glaze. This vase at the Whangarei Sallies is not marked for maker but I did see a spot where it looks as though a sticker has been removed. I recognise this pattern as Red Barn easily enough now that no ID is required. 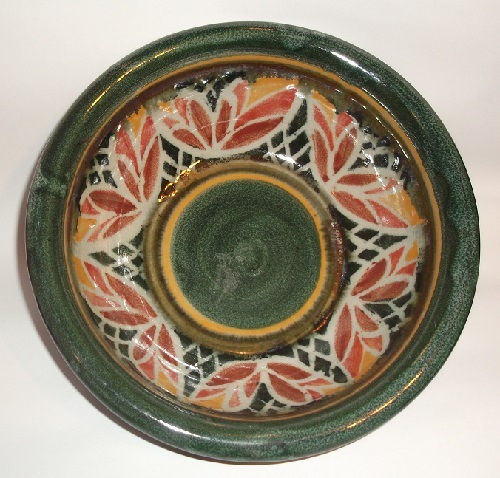 The base suggests hand thrown. As the opening is so small I cannot see inside for further useful information but I did feel finger marks. What a fabulous find .. a really gorgeous bottle. 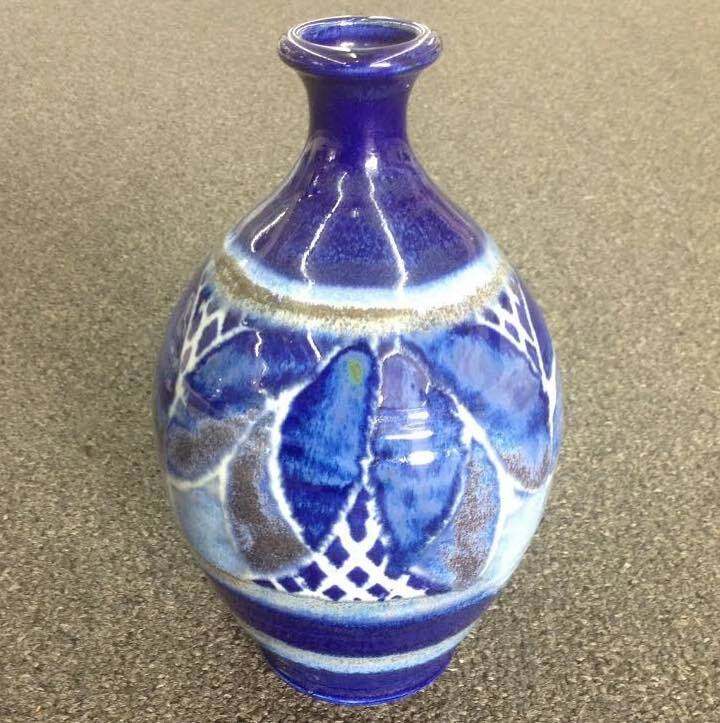 Fingerlines visible in photo through the glaze, round the belly of the bottle. I like the pattern. Right photo gives a better impression of colour. 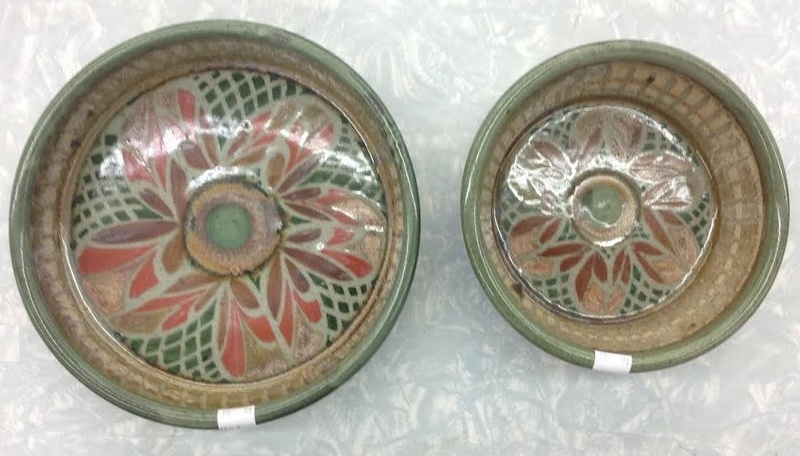 Unfortunately this, like the two at the head of the topic, is castware not thrown.